The progressive reformer Zuzana Čaputová’s victory in Slovakia’s presidential election suggests that populists’ biggest strength is a weak opposition. If her winning formula is adopted elsewhere, populist forces’ recent gains in Western democracies could be reversed. 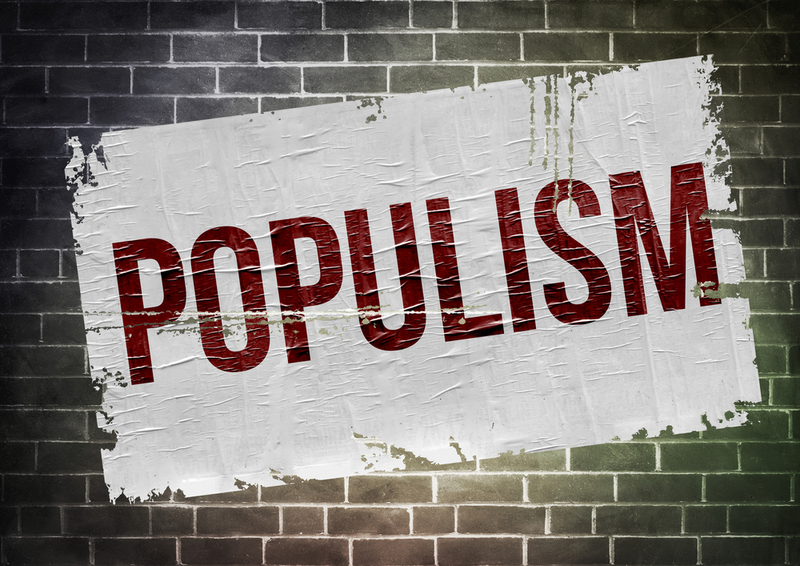 There have never been more populist governments in place than today. 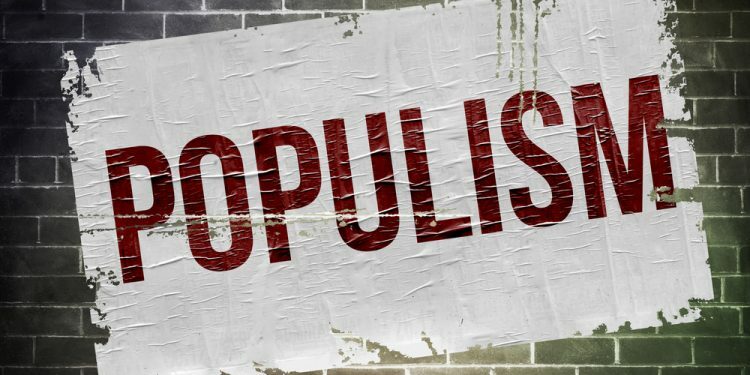 Until now, populists have not been voted out of power in any Western country. Even though the president of Slovakia has only symbolic power, anti-corruption campaigner Zuzana Čaputová’s landslide victory over a populist candidate this weekend could signal a change in populists’ ability to make the political weather in Europe. At the same time, the apparent victory of TV comedian and political novice Volodymyr Zelensky in the first round of Ukraine’s presidential election suggests that the populist wave may not have crested yet. In Hungary, for example, the post-communist Socialists and the post-fascist Jobbik party have long shown more contempt for each other than for Prime Minister Viktor Orbán. When they finally started cooperating after years of devastating defeats, it was too little, too late. The country’s independent media have since been silenced, and Orbán’s power over the state confers such a significant advantage to his own party, Fidesz, that the country’s elections are no longer deemed fair by independent observers. Still, it is worth remembering that on February 25, 2018, an independent candidate with broad support from all of the opposition parties won the mayoralty of Hódmezővásárhely, a Fidesz stronghold. Had the opposition parties not descended into infighting during the run-up to parliamentary elections last April, Fidesz may not have captured nearly 50% of the vote, and Orbán might not have been given the means to consolidate power. In Italy, there are actually left-right divides within both the ruling coalition and the opposition. To form a government last year, the populist Five Star Movement (M5S) had to come to terms with the nationalist League party. Together, they won some 50% of the vote, compared to nearly 20% for the mainstream Democratic Party and less than 15% for former Prime Minister Silvio Berlusconi’s center-right Forza Italia. As for Slovakia, the left-wing populist party Smer-SD and its leader, former Prime Minister Robert Fico, have finally been defeated after almost two decades in power. But with over 20% support, Smer-SD remains the country’s single strongest party. Meanwhile, there are at least ten opposition parties with a shot at entering parliament in the next election, including Čaputová’s own Progressive Slovakia, a relatively new party that currently enjoys just 3% support. Leading a political party in Slovakia is no great feat in itself. The conservative We Are Family party, led by a man who has fathered nine children with eight women, won 6.6% of the vote in the last parliamentary election. Moreover, around 25% of the electorate consistently supports the extreme right, which itself is divided between Marian Kotleba (“Our Slovakia”) and the movement around the far-right jurist Štefan Harabin. The Czech presidency is currently occupied by Miloš Zeman, a Social Democrat-turned-nationalist with a soft spot for Russian President Vladimir Putin. Zeman and Babiš both act as though they are competing for the title of Europe’s most embarrassing politician. Zeman, for example, once held a ceremonial burning of a giant pair of red underwear that had previously been used by the artist collective Ztohoven to mock him. For his part, Babiš allegedly had his own son kidnapped and sought to commit him to a psychiatric hospital in Russian-occupied Crimea to prevent him from testifying about his father’s corrupt business dealings. Finally, in Poland, opposition parties have united against the populist Law and Justice (PiS) party government. This is a notable achievement, given that the Polish opposition is divided between Civic Platform, the agrarian Polish People’s Party and the post-Communist Democratic Left Alliance, the neoliberal Modern party, the leftist Polish Initiative, and the Greens. According to the latest polls, this so-called European Coalition has around 38-42% support, which means it could beat the PiS in the parliamentary election in October. Much will depend on what happens in next month’s European Parliament elections. But uniting has proved to be easier for Poles than for anyone else in Europe. That means Poland could become the first EU country to overthrow a populist government – on the 30th anniversary of the fall of communism, no less. It would be only fitting for Poles to trigger a wave of democratic renewal across Eastern Europe, just as they did in 1989. Sławomir Sierakowski, founder of Krytyka Polityczna movement, is Director of the Institute for Advanced Study in Warsaw and a fellow at the Robert Bosch Academy in Berlin. This article was originally published by Project Syndicate.